As a Branding and Design Consultancy, Tagbrands works with its clients to Explore, Identify, Create, and Align their brand towards the creation of a lasting mark. 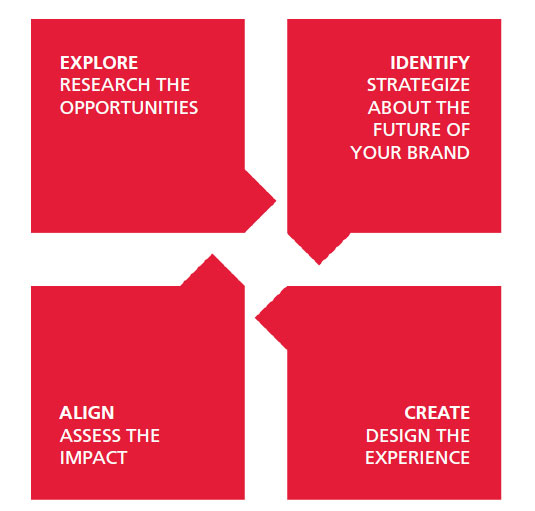 Immerse into the brand by assessing current strategy, analyzing the external environment and developing areas of opportunity for the brand. Redefine and strategize the brand by identifying what it stands for – its brand story, positioning, tone of voice and brand architecture. Bring the brand to life through different means of creativity and design. All design requirements will be created to support each phase of the brand’s growth. Continuously manage the brand by guarding against the external forces that affect it and reclaiming control of the brand identity, its digital assets and its corporate reputation.